When it comes to having facial plastic surgery to make our faces look fresh and rejuvenated, two types of surgery are available. One is facial normalisation surgery; the other is facial rejuvenation. Facial normalisation surgery is what the name implies: surgery to “normalise” your face, or correct it of any perceived abnormalities. Facial normalisation surgery can include anything from prominent ear correction to a nose job to facial reshaping of the cheeks and chin. It can also include surgery to repair split earlobes, which usually occurs after years of wearing heavy earrings. Facial rejuvenation surgery, on the other hand, does more to correct natural signs of ageing than anything else. For women – and sometimes men – who want to look and feel younger, this type of surgery is often the one to have. Facelifts. Facelifts cannot entirely turn back the clock, but they are the best way for people to look more youthful. The type of facelift you would choose would depend on facial characteristics you need to concentrate on. A mini lift is the least invasive of the full facelifts, while the Y lift is considered superior from a technical viewpoint. All full facelifts are surgical in nature and require specialised after-care. Brow Lifts. When eyebrows start to droop and sag below their normal position, a brow lift can be the answer. Can be done as part of a full facelift or on its own. Also called a forehead lift, it also gets rid of frown lines and those tell-tale forehead creases. 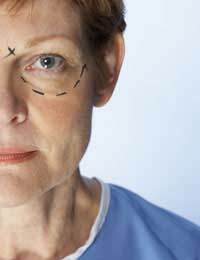 Eye bag removal, or blepharoplasty. Hooded eyes as well as bags under the eyes can make an individual appear constantly tired – even when they’re not. Getting rid of hooded eyes is a quick outpatient procedure, while other eye or eye bag procedures would normally require an overnight hospital stay. Fat Transfers. People lose fat - and thus volume - in their face usually as the result of ageing, although sometimes this can occur due to disease. The result is a tired, haggard-looking face. Fat transfers can correct all this, taking fat from another part of the body and injecting it into key areas of the face. Occasionally done as a volumetric facelift, when skin and muscle tightening of the face is carried out at the same time. If you are considering cosmetic surgery of any kind, do your research beforehand. Always use a surgeon who is certified by BAAPS, or the British Association of Aesthetic Plastic Surgeons. They publish Consumer Safety Guidelines which can be well worth looking at before you embark on this route. You also need to understand that while plastic or cosmetic surgery may make you look younger, it is not a cure-all to revolutionise your entire life. Self-esteem comes largely from inside, and how you look on the outside, in the long run, is not really that important. If you decide that you do want to go ahead with facial rejuvenation surgery, make sure you are doing it for yourself, not because someone else wants you to. Every type of surgery carries inherent health risks, and it might all go terribly wrong. Ask yourself if it’s all really worth it before you before you invest a lot of time and money just to look different.